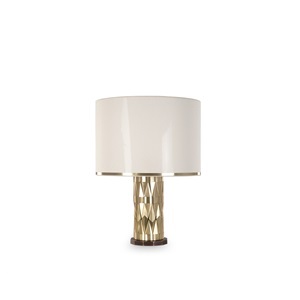 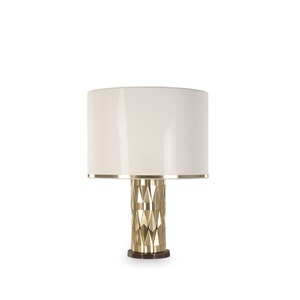 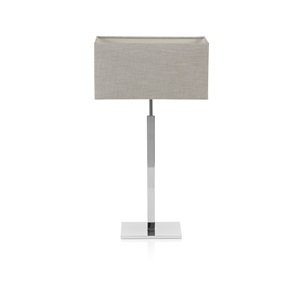 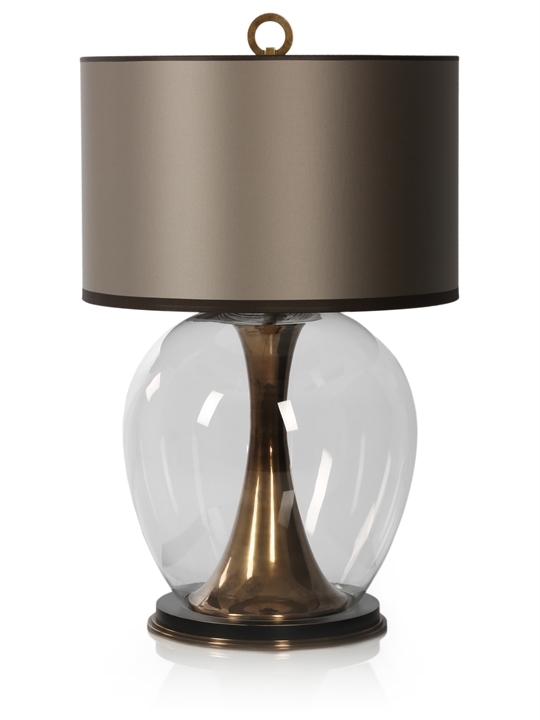 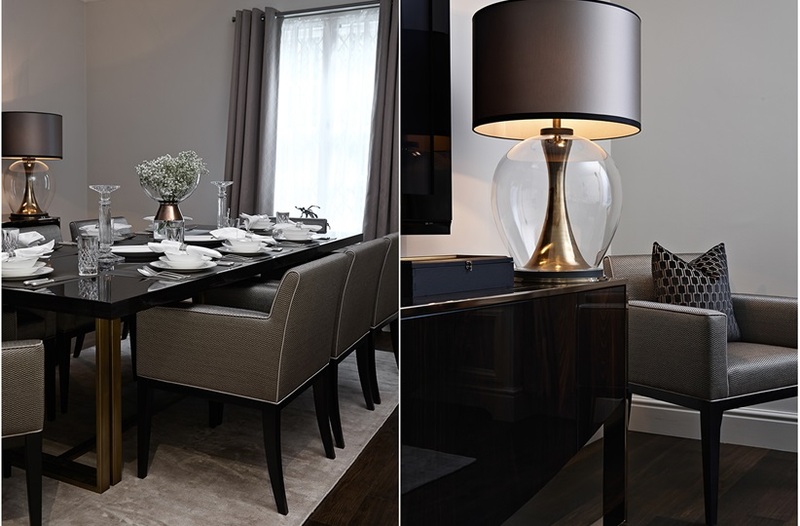 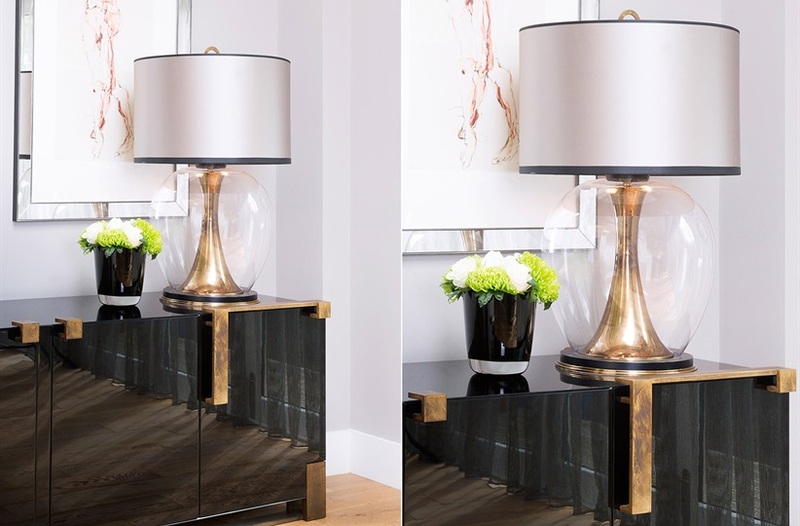 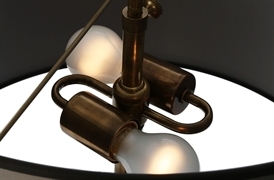 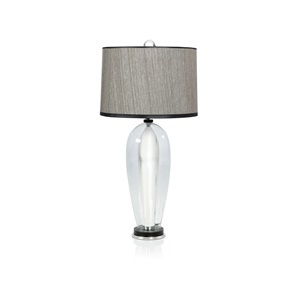 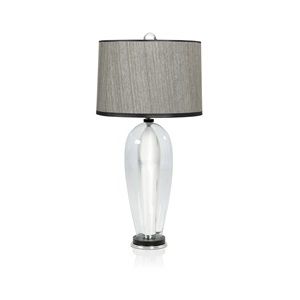 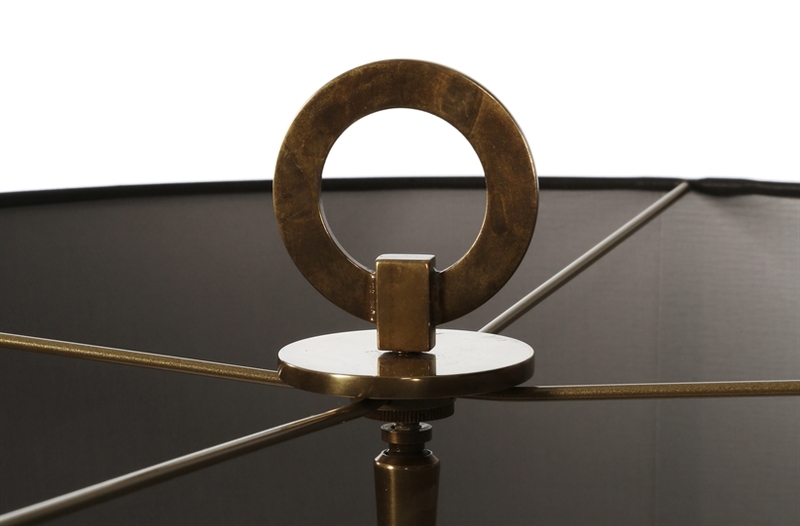 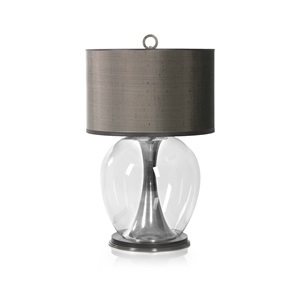 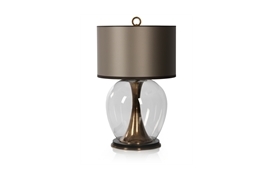 This refined tall table lamp features a cast brass base and hourglass stem encased in an oval of skilfully blown glass. 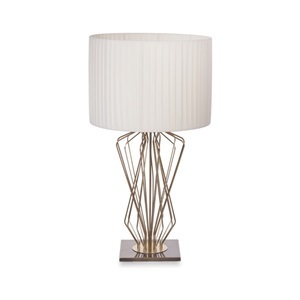 A rounded silk shade in champagne crowns the piece; contrasting the elegant curves with smooth lines. 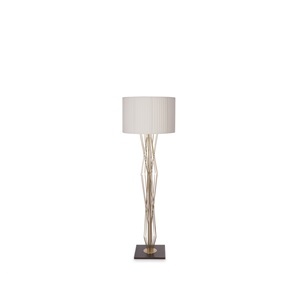 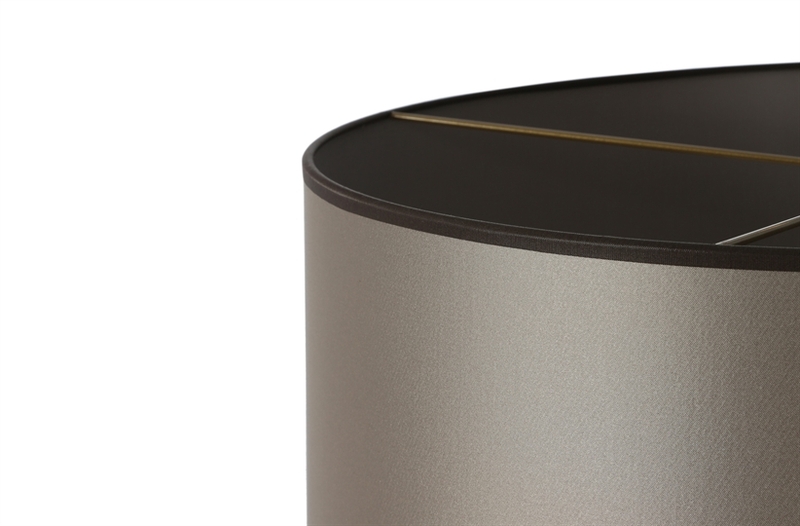 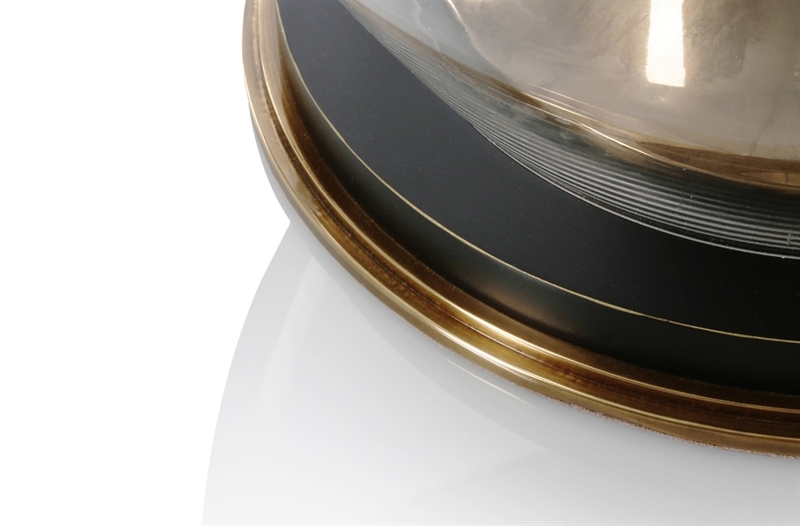 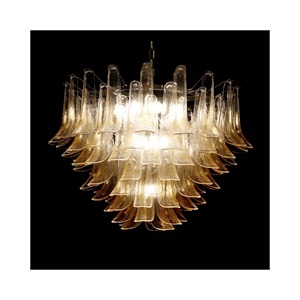 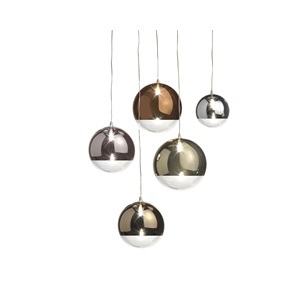 A distinctive and opulent piece guaranteed to elevate any interior.